Tim is a native of the Finger Lakes region of upstate New York and grew up around his grandfather’s vineyards. His early formal training was in the field of music but other than an inspired period as a traveling musician, he brought the creative sensibilities of a musician back to the craft of winemaking. In 2019 he celebrates 24 years as a head winemaker with 39 years total experience in the grape and wine industry. 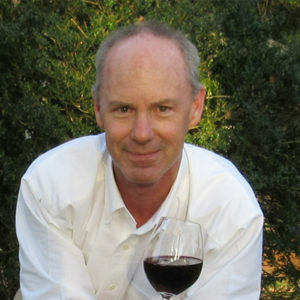 Throughout his career, Tim has crafted many award-winning wines from vinifera, hybrid, and native varieties, specializing in dessert wines like port, sherry, late harvest, and ice wines. In recent years he has expanded his portfolio to include flavored wines and hard cider. 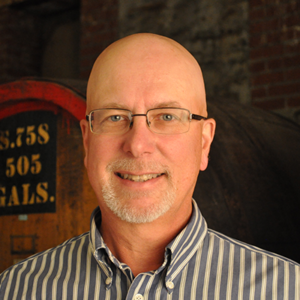 Tim is an experienced project and production manager and has judged wines in several international competitions. Jerry, together with wife Kathy, and sons Jon, Kevin and Chris founded, own, and operate Buckingham Valley Vineyards, a forty-acre, 18,000 case Pennsylvania vineyard and winery. Founded in 1966, they are celebrating fifty years in the business. Buckingham Valley is unique in that the entire production is sold direct to the consumer. Jerry is unique in that after fifty years he still loves what he is doing. In 2017 Jerry and Kathy were awarded the Eastern Winery Exposition Lifetime Achievement Award. 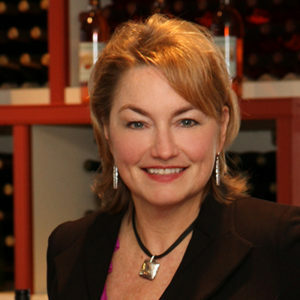 Denise is the founder and wine consultant of Denise Gardner Winemaking (DG Winemaking). Denise works with wineries of the East, providing focused consulting and educational services that improve wine production efficiency, quality, and marketability. With virtual convenience, educational tools are available to all clients in the DGW Community, which help minimize stress and uncertainty in the cellar. 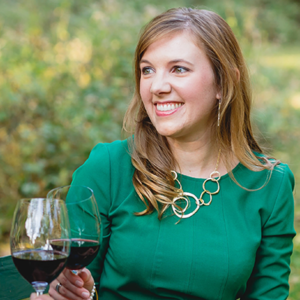 She assists wineries by developing fermentation plans that optimize quality, providing effective wine processing decisions in real time, and crafting wines with intention. Denise’s passion and enthusiasm for wine began at age 16 when she started growing wine grapes in high school, and spent those early years enrolled in viticulture extension programs while working for local wineries. She has a B.S. in Food Science from Penn State University with a minor in Horticulture (2007), M.S. in Food Science & Technology from Virginia Tech University (2009), the Certified Specialist of Wine (CSW) accreditation from the Society of Wine Educators (2013), and the Level 3 certification from the Wine and Spirit Education Trust (WSET, 2015). She was the 2017 American Society of Enology and Viticulture (ASEV) – Eastern Section chair, which provides current, research-driven information to the regional wine industry and viticulture and enology student scholarships. To connect with Denise and the DGW Community on social media visit Instagram (@dgwinemaking, #DGWinemaking) or Facebook (Denise M. Gardner, dgwinemaking). You may also sign up for Denise’s bi-monthly e-blasts at dgwinemaking.com. 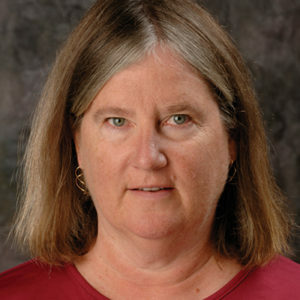 Patty Held of Hermann, Missouri, graduated from California State University of Fresno with a B.S. degree in Enology in 1982. She was winemaker for Taylor Wine Company in New York from 1982 to 1988 before returning to her family-owned winery, Stone Hill Winery, in Hermann, MO, where she was director of public relations and special events from 1988 until 2008. Currently, Patty has her own winery consulting business, Patty Held Winery Consulting, specializing in marketing, tasting room evaluations, wine trails and customer service training. Since the 1980s, Patty has judged wine at prestigious wine competitions across the country. In 2004, Patty was instrumental in forming the Hermann Wine Trail, a collaboration among seven local wineries for the purpose of promoting the Hermann area wine country. She serves as president of that organization. Patty is also an adjunct on-line instructor for VESTA, www.VESTA-USA.org, teaching Marketing for Small Wineries and Tasting Room Management. Patty is America’s Wine Trails industry advisor and part of the marketing team for its website and mobile app. She has been in the wine industry since she was five years old and has a grasp of all areas of the winery business. Doug grew up on a fruit farm in Harborcreek Township in Erie County and at 79 still farms on his 170 acre family owned vineyard in addition to his activities with Presque Isle Wine Cellars. He graduated from Penn State in 1956 with a degree in Pomology. He became interested in the economics of growing wine grapes to replace the acreage of other fruits which had become less profitable in the Lake Erie area. 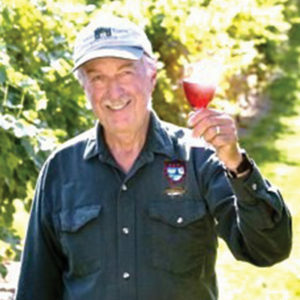 Doug experimented with nearly 200 French Hybrid varieties and introduced the growing of European grapes (Vitis vinifera) into the Lake Erie area in the late 1950’s. One of his main interests has been to produce quality wines from traditional European grapes grown in Pennsylvania. He was the first chairman of a State Grape Marketing Council which developed the legislative proposal that became the Pennsylvania Limited Winery Act in 1968. 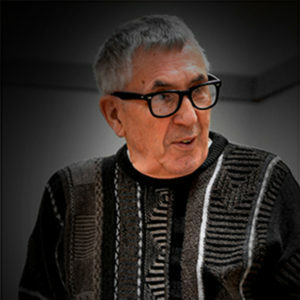 He was a longtime director and a past president of the Pennsylvania Wine Association, a longtime director in the National Grape Cooperative, an adjunct professor in the culinary department at Mercyhurst College in North East, PA, and is currently a director of Wine America and the Pennsylvania Grape Marketing Board. Though he enjoys walking a bit more these days, Doug was a competitive runner completing marathons and ultra-marathons into his fifties. He is also an avid Bridge player holding the Life Master rank. Doug sits on the EWE Program Advisory Board and at the 2013 Eastern Winery Exposition, he was presented with the Lifetime Achievement Award for his work growing the wine and grape industries in Pennsylvania. Lucie is an independent viticulturist based in Virginia. She is an internationally recognized author, ampelographer, lecturer, consultant and research collaborator. Her higher education in viticulture occurred in Europe, while her practical education began as vineyard manager on the family farm along the banks of the Potomac River, Virginia-side. Most recently she has been working with geologists to show the need for revising potassium recommendations based on soil analyses and with plant pathologists to better understand wood fungi that also impact developing fruit clusters. Peter is at the helm of New Hampshire’s oldest winery. 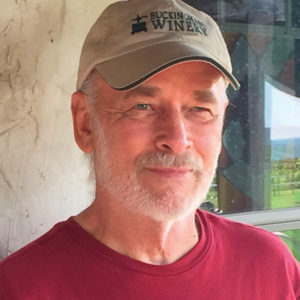 He is past president of the New Hampshire Winery Association, chairman of the Northern New England Chapter of the American Wine Society, and a member of the advisory board for the Eastern Winery Exposition. He has been growing American, hybrid and vinifera grapes since 1982 and producing wine commercially since 1994. He has mentored many of the New England growers starting vineyards and wineries and has emphasized the importance of selecting the right grape varieties for each site. He is a strong advocate for the French-American and Cornell hybrids, especially for the white varieties in USDA Zones 5 and 6. Seyval is the signature grape for his winery. Tom is an East Coast pioneering winemaker with a degree in Food Science and over 30 years of wisdom under his hat crafting fine wine. In addition to winemaking, Tom is also one of the premier winery start-up professionals on the East Coast. Flexible streamlined processes have been developed from the 55+ winery start-ups and expansions he has managed. From construction to cork to consumer, Tom’s industry knowledge is highly valuable. He also finds winery rescues to be another fun challenge. More about Tom is available via winemakingconsultant.com.